Cozumel is the most frequent destination of cruises out of New Orleans. Two cruise lines offer cruises to Cozumel that are four-day or five-day trips. See the full schedule of departures below. Cozumel is an island off the coast of Mexico, and its tropical climate is always warm so any month is good for a cruise. The average high temperature in January is 83 degrees, and 91 degrees in August. The dry season is from December to April, so that is the best time of year to visit. View Cozumel on Google Maps. Zoom in on the satellite image to explore the island. 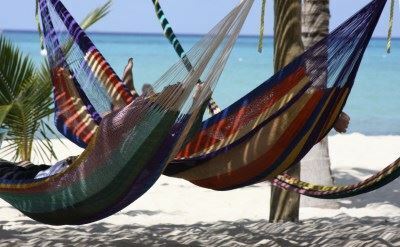 Learn more about cruises from New Orleans to the Western Caribbean that often also include a stop at Cozumel. You may also want to consider cruises to Mexico from Tampa Florida, which include stops at Cozumel. They are similar trips on 3 cruise lines. 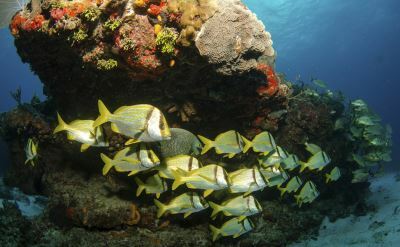 Coral reefs around the island make snorkeling and scuba diving favorite shore excursions on Cozumel. Other things to do include para-sailing, kitesurfing, and swimming with dolphins. So many excursions to enjoy in Cozumel. 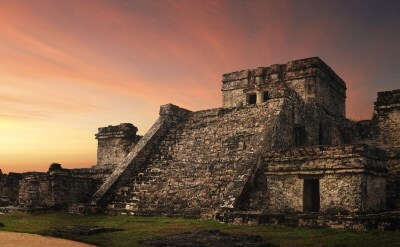 Touring Mayan historic sites is another top thing to do. San Gervasio is the main site on Cozumel itself. Lots of cruise passengers take an excursion to Tulum, a Mayan walled city on the nearby Yucatan Peninsula. It's a spectacular site. 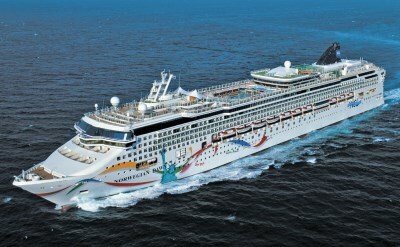 4-day cruises to Cozumel on Carnival Cruise Line. Round-trip from New Orleans to Cozumel (Mexico). • 2019 departures: April 4, April 18, May 2, May 16, May 30, June 13, June 27, July 11, July 25, August 8, August 22, September 5, September 19, October 3, October 17, October 31, November 14, November 28, December 12, December 26. • 2020 departures: January 9, January 23, February 6, February 20, March 5, March 19, April 2, April 16, April 30, May 14, May 28, June 11, June 25, July 9, July 23, August 6, August 20, September 3, September 17, October 1, October 15, October 29, November 12, November 26, December 10, December 24. 4-night cruises to Cozumel on Disney Cruise Line. Round-trip from New Orleans to Cozumel (Mexico). • 2020 departures: February 27, March 2. 5-day cruise to Cozumel on Carnival Cruise Line. Round-trip from New Orleans to Progreso (Mexico) and Cozumel (Mexico). • 2019 departures: April 8, April 13, April 22, April 27, May 6, May 11, May 20, May 25, June 3, June 8, June 17, June 22, July 1, July 6, July 15, July 20, July 29, August 3, August 12, August 17, August 26, August 31, September 9, September 14, September 23, September 28, October 7, October 12, October 21, October 26, November 4, November 9, November 18, November 23, December 2, December 7, December 16, December 21, December 30. • 2020 departures: January 4, January 13, January 18, January 27, February 10, February 15, February 24, February 29, March 9, March 14, March 23, March 28, April 6, April 11, April 20, April 25, May 4, May 18, June 1, June 15, June 29, July 13, July 27, August 10, August 24, September 7, October 5, October 10, October 19, October 24, November 2, November 7, November 16, November 21, November 30, December 14. 5-day cruise to Cozumel on Carnival Cruise Line. Round-trip from New Orleans to Costa Maya (Mexico) and Cozumel (Mexico). • 2020 departures: May 9, May 23, June 6, June 20, July 4, July 18, August 1, August 15, August 29, September 12, September 26.